The Brother William B. Cornelia Founders Award for Outstanding Service to the College, named for the founding president of Iona, was inaugurated in 1961. Bestowal of this award is intended to show the Association’s appreciation for those who have generously given of their time, resources and energies for the betterment of the College. The Brother John G. Driscoll Award for Humanitarian Service recognizes members of the Iona Community who, by their activities and service to others, have reinforced Iona’s identity as a College founded in the tradition of the Congregation of Christian Brothers and American Catholic higher education. This award, established in 1995, is named in honor of Br. Driscoll, sixth president of the College, who by his example, imbued all with the spirit of scholarship, vision and humanitarian service. The Brother Robert A. Durning Rising Star Award, in its inaugural year, is named for Iona’s beloved alumni and faculty member, Brother Robert A. Durning ’69. 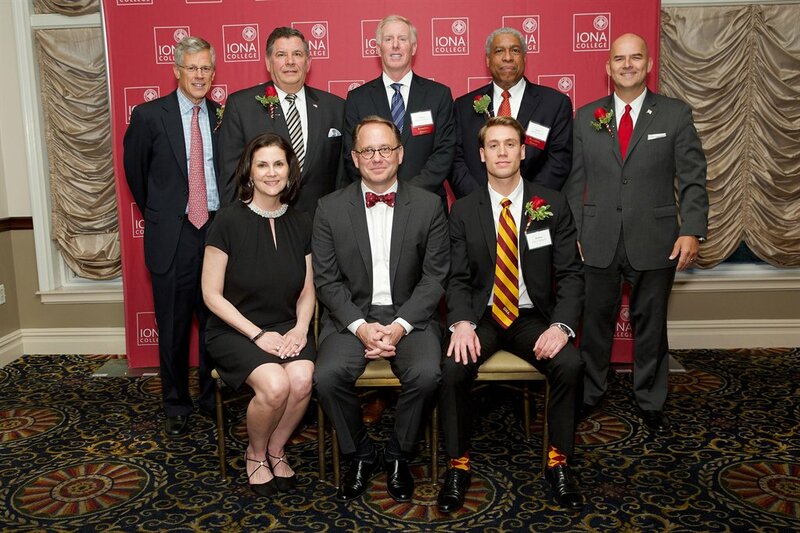 It honors recent Iona graduates who have already brought acclaim to the College through achievements in their respective fields. Brother Durning was a dynamic and gifted teacher who touched the lives of many students. With this award, we honor his commitment to excellence and the pursuit of lifelong learning by recognizing these outstanding young professionals.